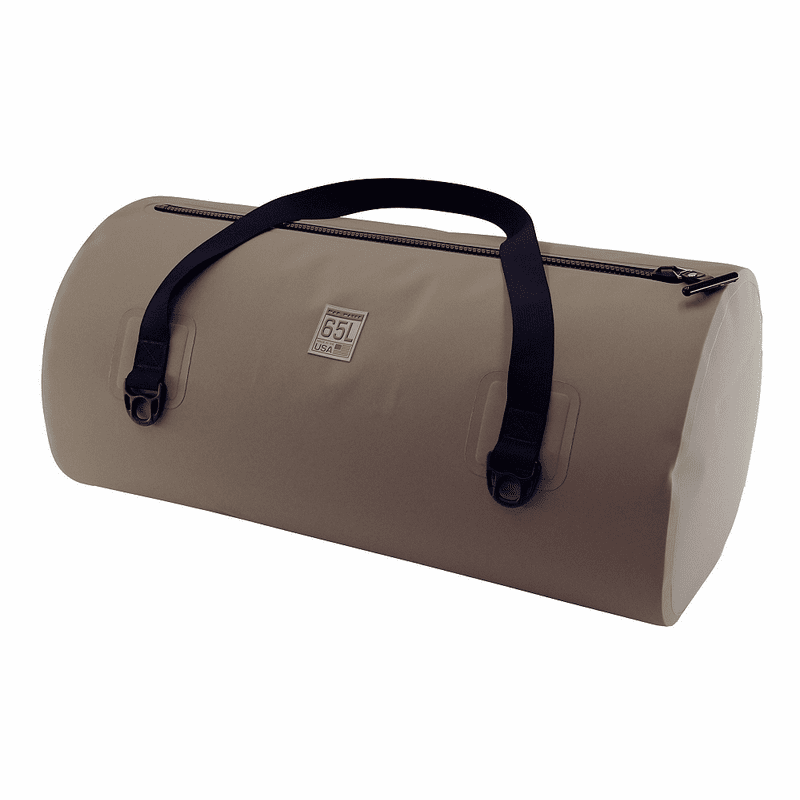 Outfitted with YKK waterproof zippers and RF welded from double-coated (PVC-free) polyurethane, this commercial grade ‘Made In The USA’ duffel is truly waterproof – submersible to 15 feet! The wide 1.5” nylon webbing handles were designed to be long enough to use as backpack straps, should the need arise. Inside the bag, on the end just as you begin to open the zipper, is a mesh zipper pocket (7x7inches) to keep your keys and wallet close at hand. And the 4 deluxe D-rings are perfect for securing the duffel in almost any situation. And not only is our bag manufactured in the USA, the YKK zipper we use is now also manufactured in the USA – also in the state of Georgia, in fact. Also available in 30 Liter and 90 Liter versions. Carry Weight: 2 lb. 6 oz. This site is the property of ROC Gear, Inc. Mad Water™ is an exclusive trademarked brand of ROC Gear, Inc. Copyright © 2018 ROC Gear, Inc. All Rights Reserved.